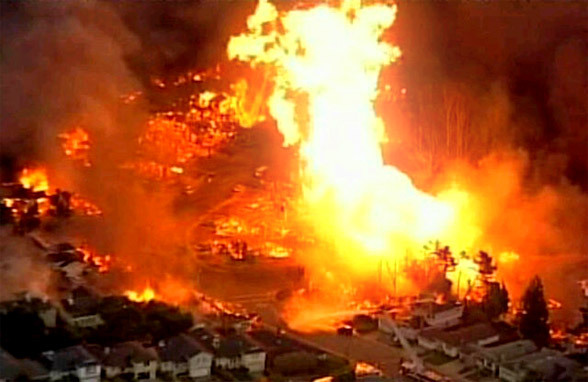 Updated: As you are probably aware, there were a big gas explosion and ongoing firestorm in the San Francisco suburb San Bruno. It is a terrible tragedy, but that didn't stop a local coffee shop from taking advantage of the whole ordeal by to promote their shop. Not surprisingly, people's reacting was prompt and immediate, with tons of angry tweeters telling their friends to boycott them. Onyx first tried to correct their mistake (quite badly). By tweeting "A lil hott from the fire in San Bruno?? 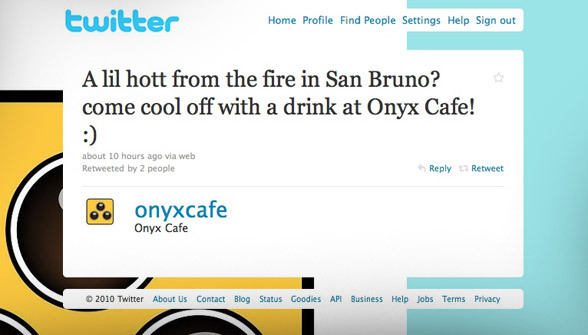 Come cool off with a drink at Onyx Cafe!! here to discuss the fire!" ...but later had to close the shop. Now this is another obvious case of how not to use social channels. You simply do not take advantage of a disaster. If people are suffering, you help them. You don't ask them to come and buy your products. What Onyx Cafe should have done was to open up the coffee shop as a relief center. Give people a place to stay, find their friends - and don't ask them for money. Give away all your coffee or cold water for free to whomever needs it. Disasters are not marketing events! People remember those who tried to take advantage of them in a time of need, and they also remember the ones who stepped in to help. 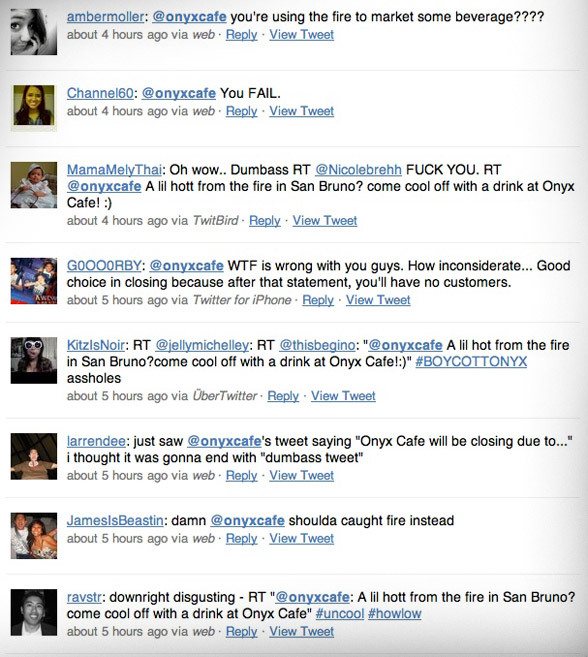 Update: Onyx Cafe make amends for yesterdays blunder. First apologizing, and later offering to match people's donations to the Red Cross.